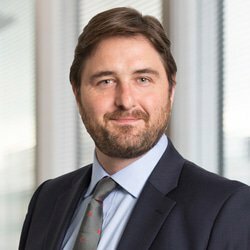 Nicholas Heaton is a partner and the head of Hogan Lovells' competition litigation practice in London. His significant competition litigation practice is focused on claims before the English High Court and the Competition Appeals Tribunal. These claims for damages and injunctive relief arise out of alleged anticompetitive conduct and usually involve multiple international parties. Nicholas' recent experience includes defending substantial claims in relation to Commission infringement decisions relating to power cables, air cargo, carbon graphite, gas insulated switchgears, copper tubes and others. He has been involved in a number of the leading cases in England & Wales including: National Grid v ABB and others; Toshiba Carrier v KME; Emerson v Morgan; WH Newson v IMI, Emerald Supplies Limited and others v British Airways Ltd and Deutsche Bahn v Morgan. Nicholas often writes on competition actions in the English courts, and is a frequent speaker at conferences focusing on this area of the law. Nicholas is a co-chair of GCR Live Annual Competition Litigation conference and was short listed by GCR as litigator of the year in 2015.